Give us a try! Come meet and grow with other wonderful and talented professionals; you will be glad you did and so will we! Individual Member (Renewal) - $55.00 (USD) Subscription period: 1 year No automatically recurring payments For ATD Buffalo Niagara members who are renewing local membership. Student Member - $25.00 (USD) Subscription period: 1 year No automatically recurring payments Must be a current and full-time college/university student. Experience the value of joint membership! 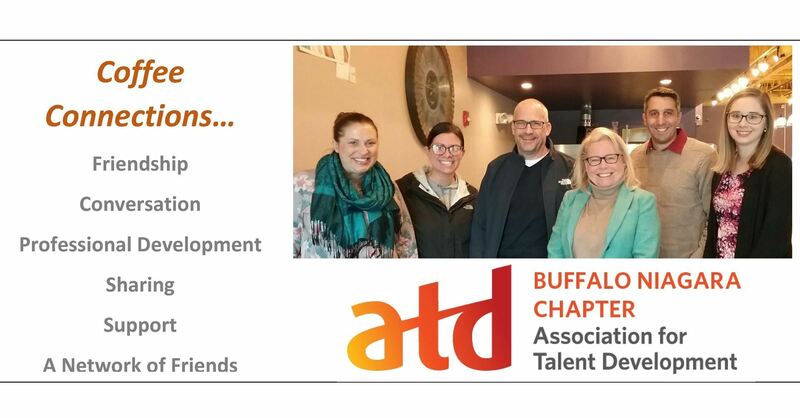 Get both ATD and ATD Buffalo Niagara Chapter membership through Power Membership. Power membership offers twice the support, twice the resources and twice the networking for one membership rate! Become a Power Member Today and Save! During the checkout process, enter the code CH2043 in the ChIP/International Partner Code field to receive the discounted rate. Note: To receive your discount, you must be Buffalo Niagara Chapter Member in good standing, and include the local chapter's ChIP code in your national membership application. For many years I was a member of our local ATD chapter. I never saw a reason to join the national organization. During the years I served on the board, I was required to be a Power Member. Now that I’m no longer on the board I’ve continued my Power Membership because it provides so much value. I use the member-only content on td.org to begin projects, research information, and watch the webcasts. I don’t know how I lived without it!